A more stylish, more convenient feeding solution. Lots of fun designs with markable, reusable surfaces. Washable and easily identifiable. A smaller chance that your child shares germs or fluids. Snaps on fast for on-the-go parents. Great for daycare, preschool, the nanny, or the in-laws. Record breast milk storage and ensure that caretaker has proper feeding instructions. 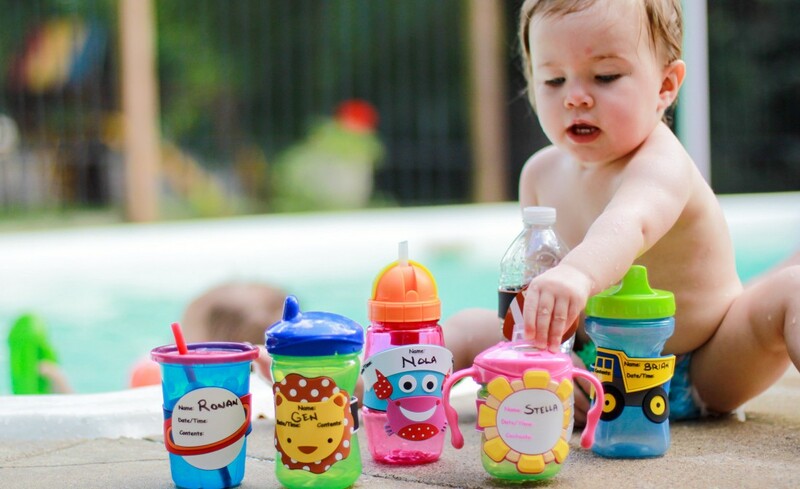 Fits on bottles, sippy cups, and water bottles. Less waste, less confusion, BPA-free. And they make awesome baby shower and birthday gifts. Can withstand refrigerator, freezer, dishwasher, and child.